Here we see the Arado Ar 240 twin engined heavy fighter from above. 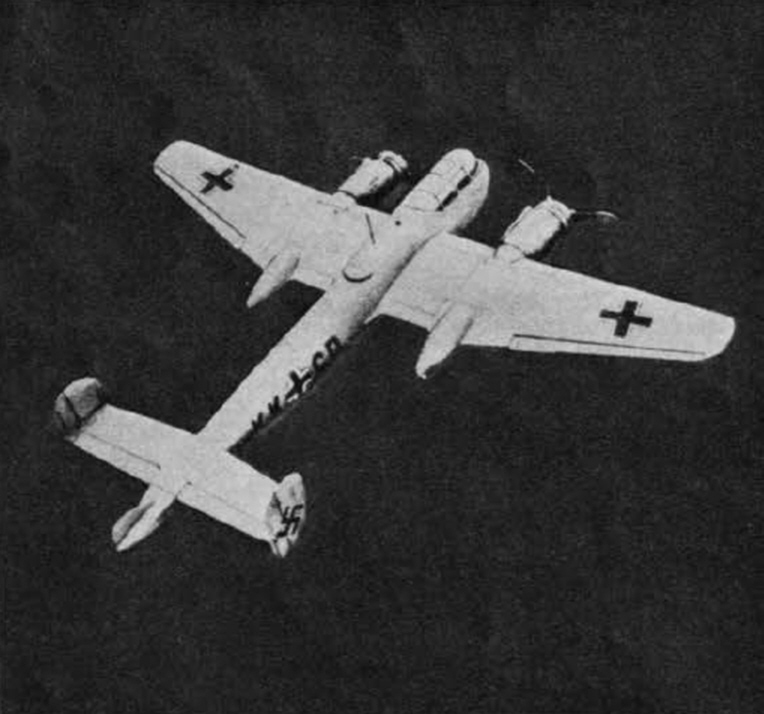 This aircraft had unusually small wings, and proved to be unstable in the air. Note the dive brakes behind the tail. These opened out to the side when the aircraft was used as a dive bomber. Only a handful of Ar 240s were built, and they were mainly used for test purposes.